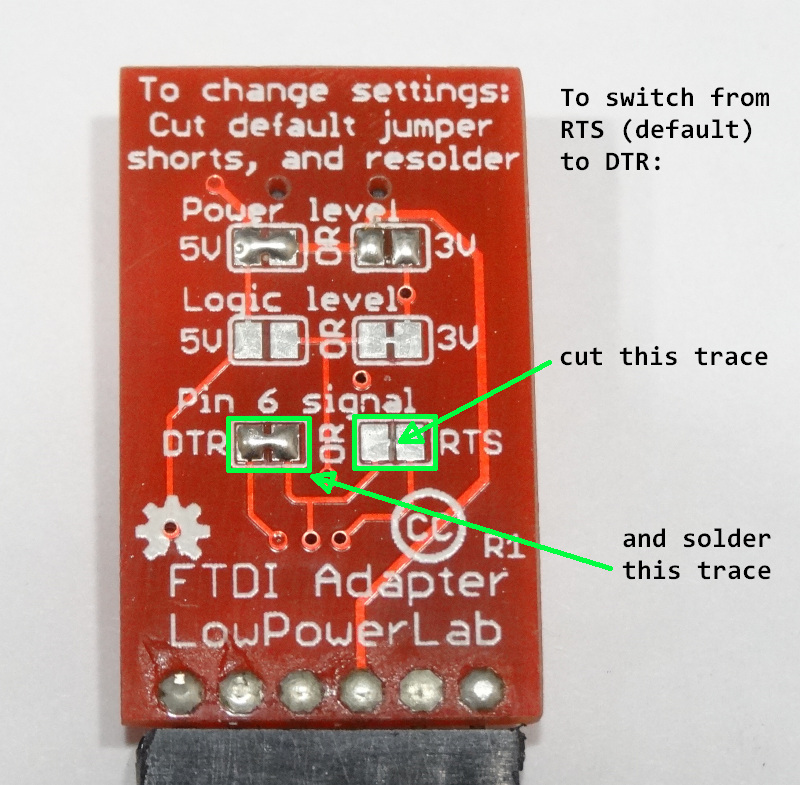 FTDI-Adapter is a USB-Serial bridge so you can upload programs to Moteino or communicate to your microcontroller serial controller through your PC's USB port. The pinout is standard [ GND - CTS - VCC - TX - RX - RTS ] and will work with any Arduino clone that has this as a programming interface. Other examples of compatible FTDI adapters you can use to power/program your Moteinos: USB BUBII, FTDI cables here and here, FTDI friend. See the blog entry for more details. Fully assembled and tested unit. They come with a 1x6 female header pre-soldered so you can be up and running in no time.